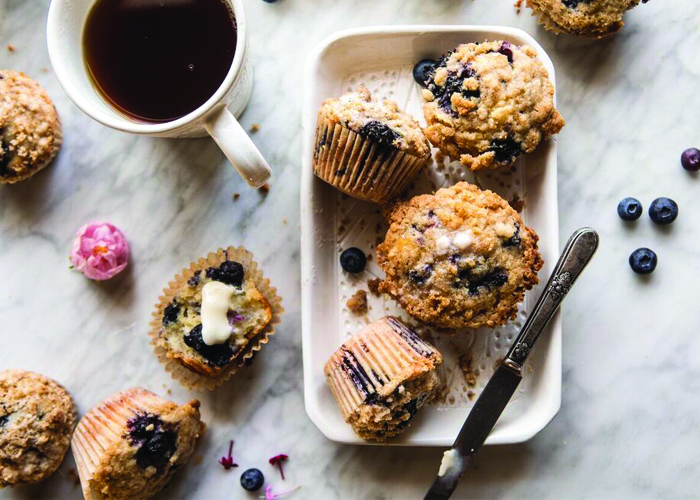 Get ready for tea time with this muffin man-approved breakfast or snack. 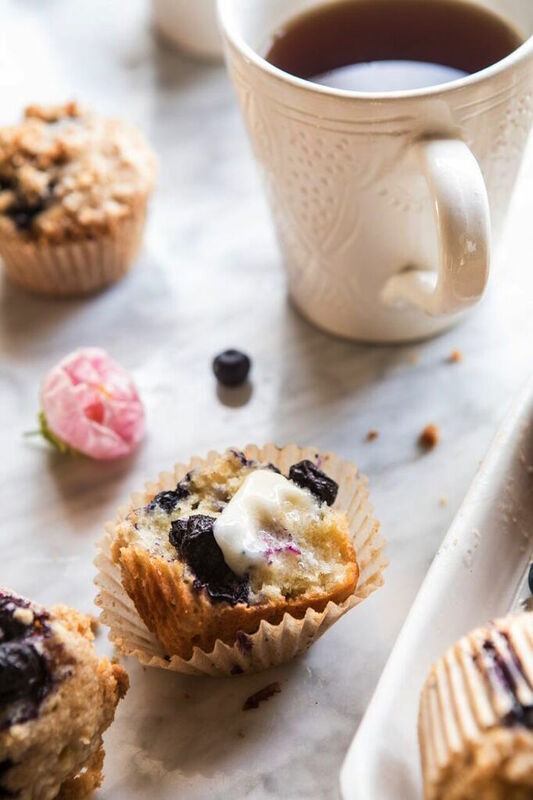 Combine the taste of earl grey tea with blueberries and you’re in for a treat! Half Baked Harvest made this delicious dish and displayed them on our Moroccan ceramics. 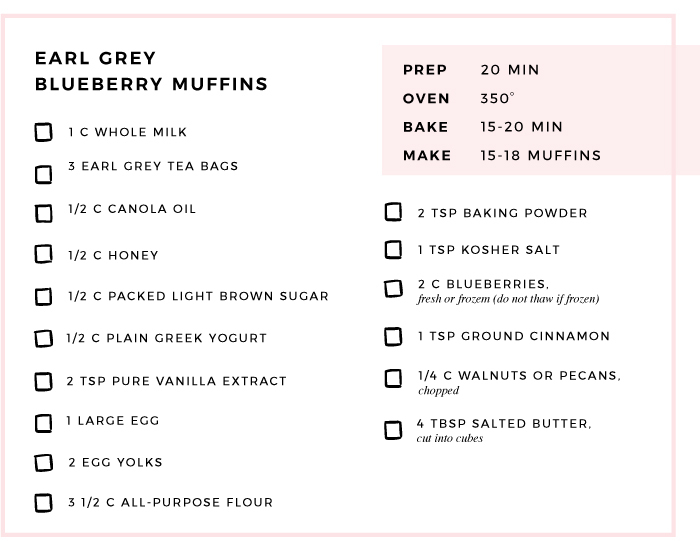 Scroll below to see the recipe and the story behind these muffins! Preheat the oven to 375°F. Line 15 to 18 wells of two muffin tins with paper liners. In a small saucepan, bring the milk to a gentle simmer over medium-low heat, then immediately remove the pan from the heat—do not allow the milk to boil. Add the tea bags and steep for about 15 minutes, then discard the tea bags. In a large bowl, combine the canola oil, honey, ¼ cup of the brown sugar, the yogurt, vanilla, egg, and egg yolks and stir until evenly mixed and pale in color. Add the steeped milk and stir to combine. Add 3 cups of the ﬂour, the baking powder, and the salt and stir until just combined. 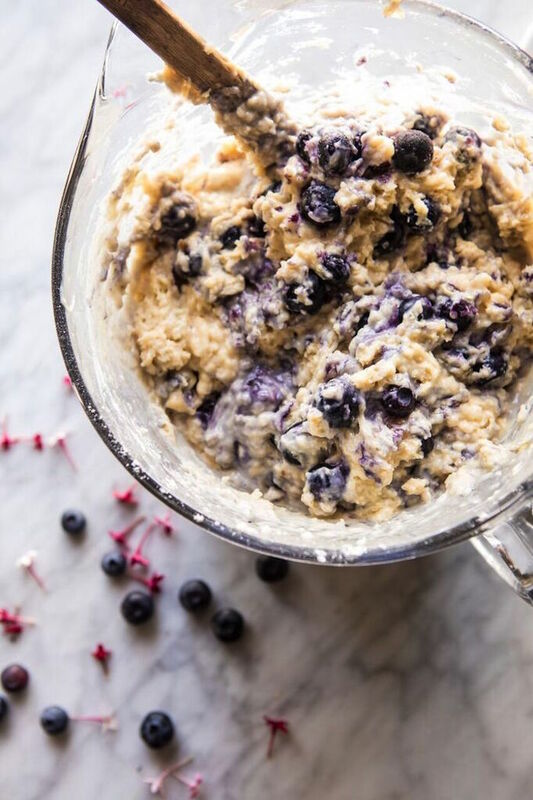 Gently fold the blueberries into the batter, taking care not to overmix (otherwise the batter will turn blue). Divide the batter evenly among the muffins cups, ﬁlling them three-quarters of the way full. In a small bowl, combine the remaining ¼ cup brown sugar, ½ cup of flour, the butter, cinnamon, and nuts. Mix together with your hands until a crumbly mixture forms. Sprinkle the streusel topping over the batter, dividing it evenly. Pair with butter and coffee to make these taste extra good! Love this recipe? See more of Half Baked Harvest’s recipes here.